Louie Alas tries to motivate the Fuel Masters during the long layoff. 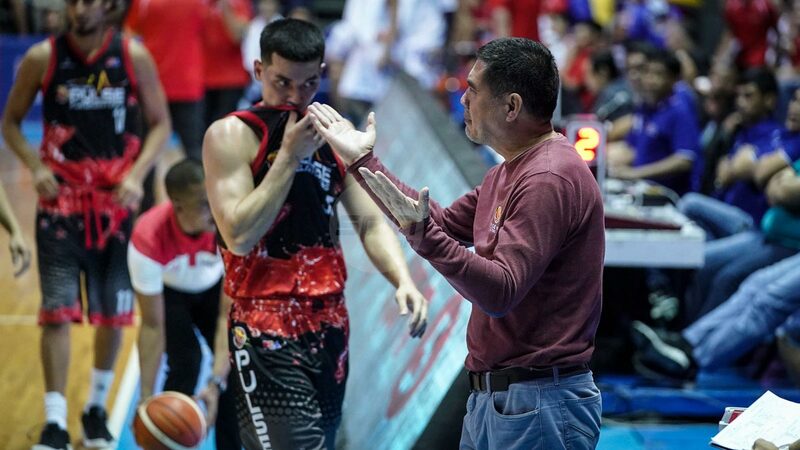 FOR Phoenix coach Louie Alas, one of the qualities of an elite team is the ability to avoid losing streaks, and he is urging the Fuel Masters to work hard to get back on track after the loss to Rain or Shine. Phoenix suffered its first loss of the season and slid to the No. 2 spot on Sunday after bowing to Rain or Shine in overtime. While their 5-1 record is still impressive, Alas said the next match will show their true character. “Medyo masakit. Kaya lang, tatanong ko pa ba ‘yung 5-1, you have to be happy with that and improve on the next play. ‘Yun ang post game ko. Kung gusto niyo maging tougher, do not lose two in a row. Naka-focus kami sa next game,” said Alas. Alas said the match against Rain or Shine came down to defensive stops, an important aspect they need to work on if they want to become part of the PBA’s elite teams. “Sayang. Almost hindi lang namin na-sustain ‘yung defensive job namin sa last five minutes,” said Alas. “We got three breakdowns on scramble defense sa last five minutes. Kung gusto mong makapunta sa next level, kapag crucial, doon ka dapat makakuha ng crucial stop. ‘Yun ang first order of the day sa next practice namin,” said Alas. Alas believes Phoenix Pulse has shown it has takes to be an elite team in the PBA. “Mabigat din naman ‘yung Rain or Shine. Tinalo ng Rain or Shine ‘yung Ginebra and San Miguel. Naka-compete kami against Rain or Shine. Siguro kaya naming mag-compete sa elite teams ngayon. We just have to keep on improving especially on defense kasi para manalo ka sa heavyweights, talagang stop after stop after stop. ‘Yun ang kailangan matutunan mo,” said Alas. Phoenix Pulse will have a lot of time to prepare as the Fuel Masters face NorthPort on February 27 after the Fiba Basketball World Cup Asian qualifiers break. “May pros and cons,” said Alas when asked about the long wait to bounce back from the defeat. “‘Yung agony of waiting dahil gusto mo na agad makabawi. But at the same time, marami kang time para i-correct ‘yung mga dapat i-correct,” said Alas.